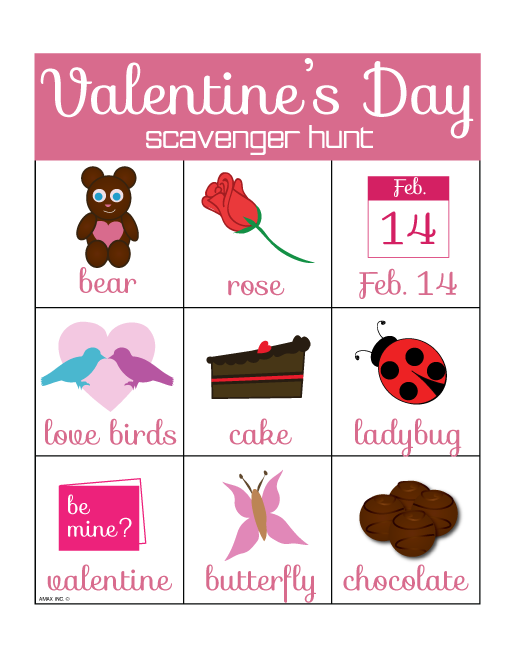 Love is in the air... or maybe it's punny Valentine card printouts and sweet scavenger hunts! 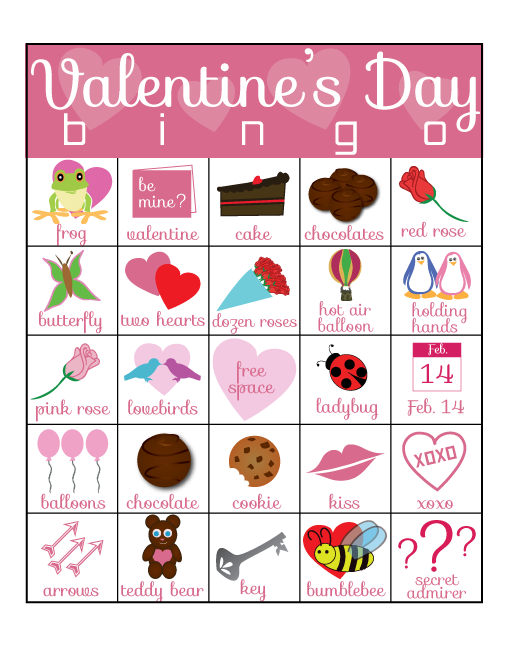 Make February 14th full of festive Valentine's Day activities with these printouts, perfect for any preschool, kindergarten or elementary classroom. Parents, they also make great at-home projects. 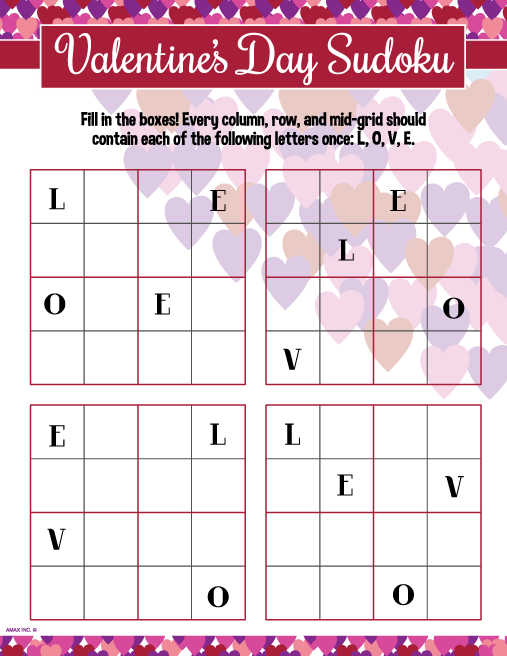 Now you can set aside those chocolates and flowers and celebrate this hearty holiday with free Valentine's Day sudoku, bingo, and maze puzzles by your side. 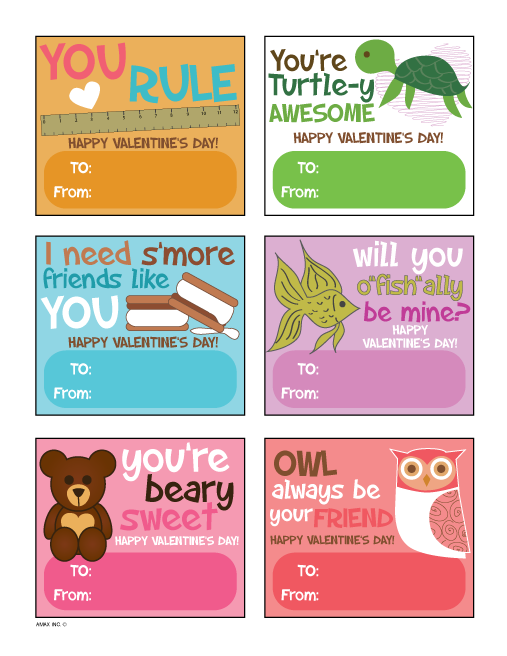 Pro Tip: They're fun for adults, too! So, which will you tackle first? 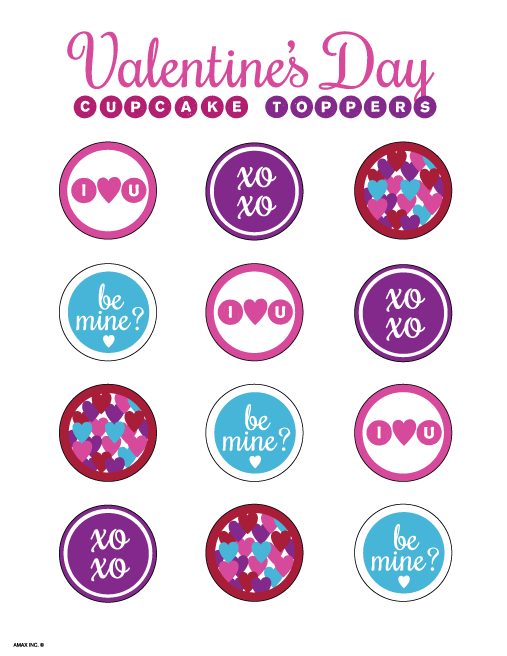 We suggest decorating those delicious cupcakes of yours with the cupcake toppers! 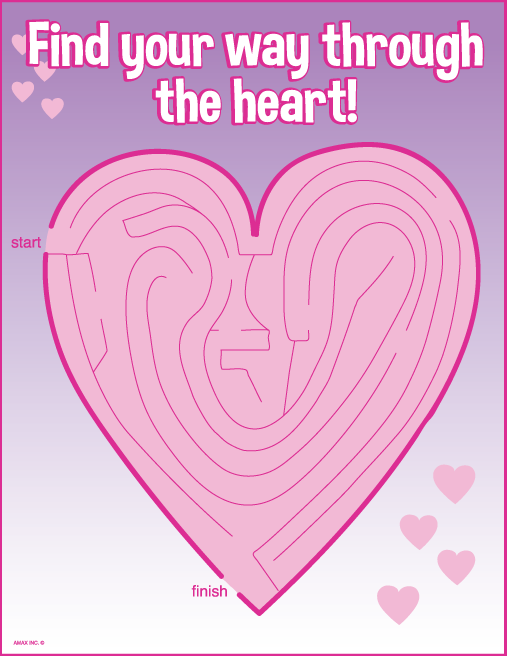 Who needs a sweetheart when you have pages full of classic games and free Valentine's Day printables? 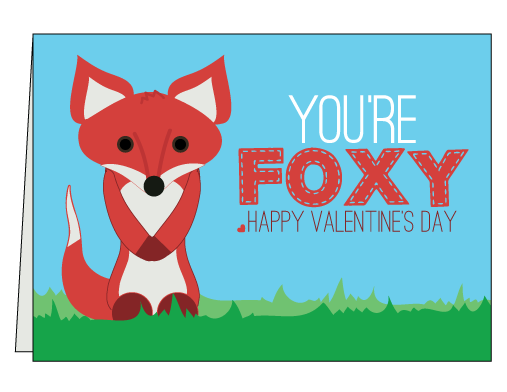 Though, we've got plenty of smile-worthy Valentine cards for the one you want to show appreciation towards. 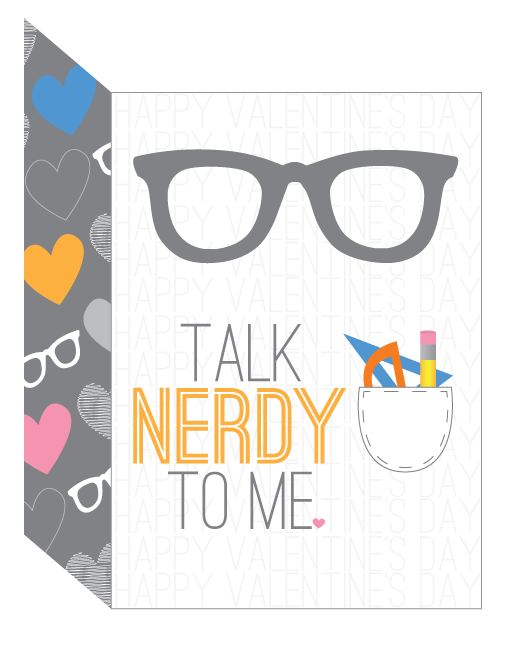 Plus, our pink office supplies make perfect gifts all month long. Psst: There's no shame in treating yourself, either! 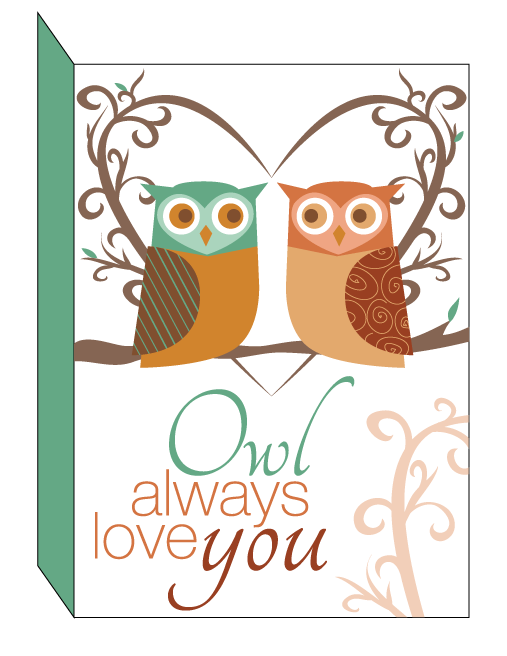 Pair any of the free Valentine printables with any of our laminating supplies to go above any beyond with your gift-giving!